The fifth-grade media center adheres to the current Arkansas Library Media Frameworks for K-12 libraries. The library media center strives to educate, equip, and empower our students for lifelong success. An environment of respect and rapport is created with clear and consistent library procedures and behavior expectations. Information literacy, social responsibility, and personal growth are keys to lifelong learning and are taught in the media center. Information literacy is identifying, accessing, organizing, and evaluating information for research and project-based learning. Social responsibility includes ethics, communication, and collaboration on tasks. Personal growth refers to reading, connecting, responding, and reflecting on materials read. Our students are provided with a variety of current digital and print resources. We encourage lifelong reading for enjoyment. How many books are allowed for check-out at one time? Two books are allowed for check-out. Students may place books on reserve or hold. Students may check-out as many eBooks as they want to. My books are overdue. What do I do? Look for the books. Return them when you find them. There is a replacement cost for the book if it isn’t returned. My book is damaged, am I responsible for it? Yes. There is a replacement cost for the book. We have a wide variety of print and digital books to meet the needs of any reader! All classes visit the library once per week. Hi, my name is Kelley Honghiran. I am excited to teach your children this year! I graduated from Arkansas Tech University. I began my teaching career in Dardanelle in 1998. I started teaching in the Russellville School District in 2004. I enjoy reading, hiking, and watching soccer. 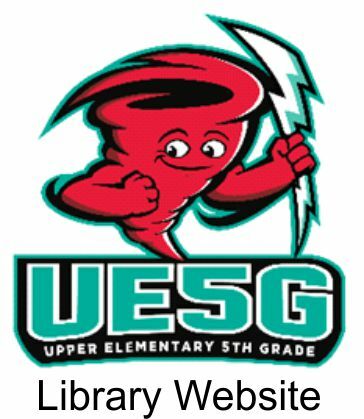 I started at UE5G in the library Nov. 2008. I enjoy spending time with my son, my 3 dogs, gardening, cooking, traveling, and of course reading.